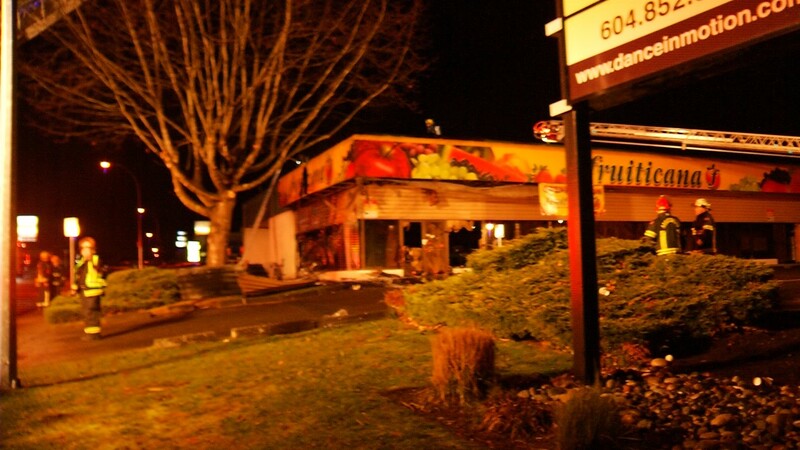 Abbotsford – UPDATE SEPTEMBER 12, 2018 – After an extensive investigation, Abbotsford Police Department Major Crime Detectives have charged two men in connection with the December 2017 arson at the Fruiticana Grocery Store on Bourquin Crescent. Scott Kenneth Campbell (43 yrs) and Stephen Turner (44 yrs) (neither from Abbotsford) have been arrested and charged with Arson. DECEMBER 19 2017 UPDATE – Further to the fire on the 2700 block of Bourquin Crescent. A building was under construction and the Major Crime Unit (MCU) of the Abbotsford Police Department continues to investigate this arson. 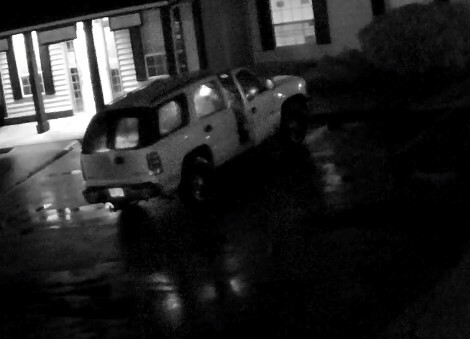 Currently they are looking for a vehicle of interest that was captured by area video surveillance. The vehicle is believed to be a light-coloured 2000 to 2006 GMC Yukon with a faulty right brake light (see photos). 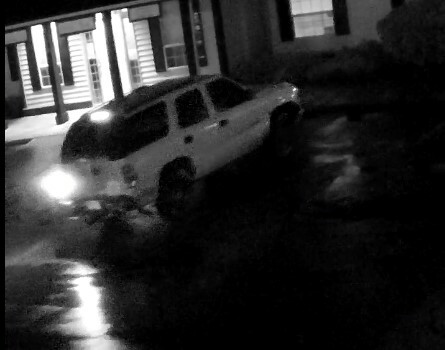 Investigators are looking for information about that vehicle, its owner and any occupants the morning of the arson. DECEMBER 15 UPDATE – APD now believe the fire was arson.Suspects were seen running down Ventura Avenue after the blaze started. Anyone with information is asked to contact Abbotsford Police at 604 859 5225 or contact Crime Stoppers at 1 800 222 8477. ORIGINAL STORY – Significant smoke and water damage to the Fruiticana building on the 2700 block of Bourquin Cresent. The fire was called in around 4AM Friday morning. No one was hurt, and the cause of the fire is under investigation. Video Courtesy Kevin MacDonald/Kam Productions. Be the first to comment on "UPDATE – Arrests Made In 2017 Fruiticana Arson On Bourquin Crescent"